Lakeside Software, the Bloomfield Hills, MI-based developer of business-intelligence solutions for IT professionals, recently announced it will open a new 3,800-square-foot R&D center above Vinology, on Main Street in downtown Ann Arbor. The move caps a decade of growth and is meant to take advantage of Ann Arbor’s proximity to the young professionals graduating from the University of Michigan, according to Brinton Baker, Lakeside’s Chief Marketing Officer. The company, which was founded in 1997, develops software to help businesses understand how people use their computers. Baker says Lakeside’s products give its clients the ability to collect detailed information on user patterns, offering what it describes as an unprecedented level of insight into application usage and resource utilization. “Just like the saying garbage in, garbage out—the better the intelligence, the better decisions IT professionals can make, whether in relation to desktop transformation or upgrading to Windows 7,” Baker says. 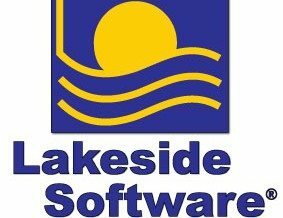 Lakeside Software currently has 50 employees, and Baker says the company plans to add 200 jobs over the next five years.